Three months ago we introduced you to a ghost BMW dealership in Canada abandoned since 1988. The next day, we introduced you to its owner. 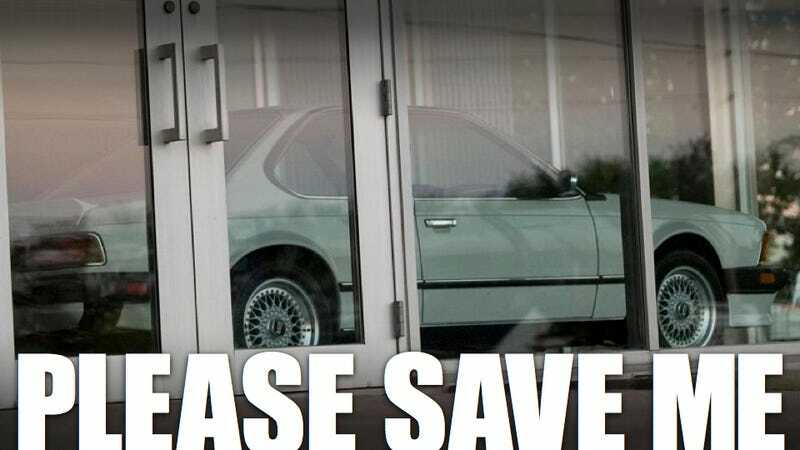 Today we learn that the dealership, including the rotting cars inside its plate-glass walls, are up for sale, and can be yours for $3.6 million. The dealership's owner, who isn't exactly the chatty type, is looking to cash in on new-found attention (by stories like the one we and others ran back in August) to the dealership, which has been sitting untouched for two decades in the small town of Oakville, Ontario. If you'll remember, the boys at the MaxBimmer forums and at Endras, a local BMW dealership, discovered that in 1988 the dealer, operating under the name "Citation Motors," had its license revoked for unknown reasons. They then moved to Toronto under the name "Downtown BMW" which in 2002 closed up shop. The owner, apparently a well-to-do businessman, seemed to have little interest in selling the place, or even the inventory, considering that everything's been left intact. As we said before, one hundred percent frozen in time is the only fitting description for this place. We're assuming the $3.6 million price includes the two cars on the showroom floor and all the vehicles in the service bay, as well as the underground level, which would make a great theater to watch car movies on a giant screen. If it were us, we'd buy it, take over the garage, build that theater and turn the rest of the place into the largest damn Tim Horton's the world has ever known. What say you, eh?